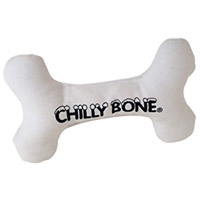 The unique Chilly Bone is the "coolest" dog bone around! Chilly Bones contain a unique non-toxic water absorbing sponge that can be frozen again and again! 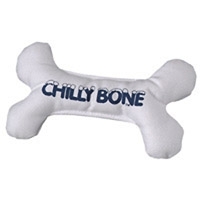 This toy will "freeze" your dog in it's tracksand make him "shiver" with excitement!